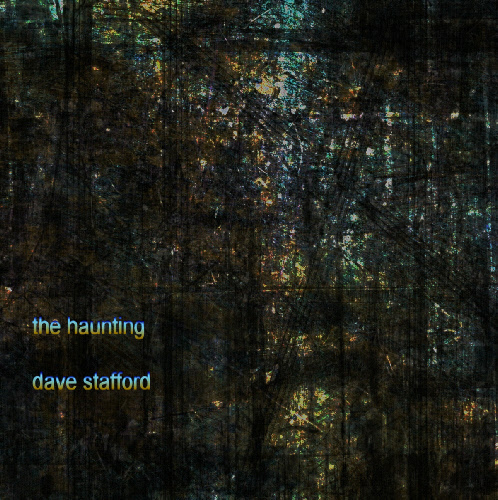 dave stafford has released a brand new collection of very, very ambient energy bow guitar loops entitled “the haunting”, which encompasses six live loops plus two lengthy bonus tracks. this record came together very quickly indeed, the bulk of the album (five of the six tracks) having been recorded live at a single session on july 24th, 2011. the sixth track, the title track, had been recorded back in october, 2009 during the rehearsals for dave’s show at the tolbooth in stirling, scotland, and as soon as the new tracks appeared, it was obvious first that “the haunting” (the track) could finally be released, but also that these new tracks from 2011 were cut from the same musical cloth. the six main pieces that make up the core of the album are originally live performances, and the two bonus tracks were created for the express purpose of adding some longer versions of two of the pieces, so the listener can really stretch out and relax. 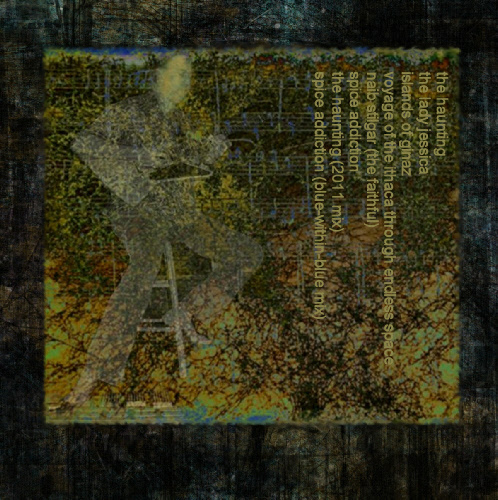 a special new mix of the title track was created, using the original master loops still stored in the looping device since october, 2009, but “played” in a new configuration to create an utterly unique and different version to the original track. all eight of the pieces here hark back to the days of “transitory” and “other memory/sand island”, or to the work of bindlestiff from their album “quiet” - and all six are performed with stafford’s trademark energy bow/looping sound. to hear this calm, passionate, quite music that both harks back to the past yet relies on stafford’s current maturity and experience is a remarkable musical moment in time - “the haunting”. the previous record is “sinister porpoise”.